Start the party off right with a great appetizer. We know the importance of a delicious appetizer recipe. Whether attending a tailgate, wedding shower, or graduation party, this assortment of easy appetizer recipes will please everyone on the guest list. From classics like deviled eggs and stuffed mushrooms, to new twists on iconic recipes, such as deviled potatoes and hot brown tarts, you are sure to find the perfect appetizer to impress your guests. The mark of a tasty appetizer is an empty vessel at the end of an event, so choose one of these top-rated party recipes and your friends will beg you for the recipe. Crisp, sweet Belgian endive lettuce topped with herby goat cheese mixture makes for a delicious and sophisticated starter that won’t spoil supper. Bite sized and based on vegetables, this easy appetizer is big on flavor and gorgeous on a tabletop (we love the star-shaped presentation for the holidays). Creamy goat cheese stuffing is made from a combination of creamy goat cheese, softened cream cheese, lemon zest, chives, parsley, and tarragon; sub in whichever herbs you desire, like red pepper for a Southern twist. Want to up the Christmas color? Include red Belgian endive leaves along with the green to make this “wreath” even more holiday-ready. Extra-sharp cheddar cheese, a dash of cinnamon, and a few scoops of plum jelly give this chorizo sausage ball recipe multiple layers of savory flavor. Take these sweet-potato-and-chorizo-sausage balls as the rest of the South’s answer to Louisiana’s savory boudin balls – each delicious bite is loaded with meat with a little kick from spicy chorizo. The recipe was born from the daughter of a Mississippi sweet potato farmer, April McGreger, who says that this recipe is a classic in her hometown. If you’re looking for a unique holiday appetizer, this sweet potato recipe is our top pick for you. Here’s an easy and impressive way to amp up your meat and cheese platter. We’ve found the next big thing in pickling: pickled Brussels sprouts. And they’re easy to make, too. We teamed up with chef and cookbook author Virginia Willis to create this easy pickled Brussels sprouts recipe flavored with black peppercorns, mustard seeds, garlic, bay leaf, and a pinch of spicy red pepper. The Brussels sprouts absorb the tangy and fresh flavor in only 4 days. Serve them as garnish for your Bloody Mary mix, as a decorative and tasty touch to your meat and cheese platter, or as a side to rich, hearty meats like roasted pork. When it comes to homemade breads, we at Southern Living are perfectionists. We send countless recipes up to our test kitchen, tweaking every last detail until the result is every bit as light and fluffy as we imaged. And we especially take this duty seriously around the holidays, as every holiday appetizer table needs an assortment of bread rolls. After months of testing, we can accurately say that these buttery, fluffy yeast rolls will steal the show. Making the dough the night before baking cuts down on day-of prep and hands-on kneading time. Test Kitchen Tip: When letting your dough rise, put it in a warm place to help the process. Try turning your oven on to the lowest heat for less than a minute, and then turning it off. This non-traditional finger food will revolutionize the way you look at basic enchiladas. Rather than spending time rolling the dough and filling individual enchiladas, our test kitchen experts found a way to bake all of the Tex-Mex flavor that we love into individual, pan-baked bites. You’ll never guess you can whip up these easy appetizers in only three steps. Simply bake flour tortillas in muffin pans, fill with all the fixin’s (like black beans, refried beans, enchilada sauce, green chilies, and shredded Monterey Jack cheese) and bake. Top with sour cream, lettuce, pico de gallo, and scallions. You can have these appetizers out in 30 minutes or less. The defining characteristic of perfectly-baked Hasselback-style potatoes? The thin, crispy, accordion-like slices that bake into golden perfection in the oven. This cutting technique allows the outside of the potato to bake into a crispy skin, while the inside remains soft and creamy. Our loaded Hasselback potatoes add some major flavor to the classic potato dish. We chose small, golden Yukon potatoes for their size – smaller potatoes make for better finger foods. We stuffed the potatoes with pan-fried bacon, crumbled blue cheese, chopped fresh rosemary, and fresh chives add a staple dish of hearty comfort food to your appetizer spread. These crispy, savory potato bites bring over-the-top flavor to your appetizer spread. Perfectly textured with a rich corn flavor, these dinner-roll alternatives will make you rethink those plain dinner rolls you’ve been serving for years and years. Classic airy bread popover bites get a comfort-filled Southern makeover with the addition of our favorite grain: cornmeal. With basic pantry staples, like flour, milk, eggs, and butter, you can make these crowd-pleasing popovers in less than 30 minutes. The secret to party-ready popovers lies in getting them just fluffy and airy enough to “pop.” It’s all about the temperature – spooning the prepared batter into a hot muffin pan, rather than a room-temperature pan, ensures a crispy shell and an airy interior. Every year, there is one holiday appetizer that shows up all the other appetizers in both taste and creativity. We’ve found this year’s show-stopping bite-sized appetizer: our delicious Baked Brie Bites. Made from only five ingredients but packed with flavor, these appetizers come together in under 10 minutes. Each ingredient is store-bought; simply assemble the flaky phyllo dough shells, creamy Brie cheese, tasted pecans, sweet and spicy pepper jelly, fresh parsley, and serve. Golden and crispy on the outside, cheesy and gooey on the inside – these flavorful (and eye-catching) savory bites will certainly become your next signature holiday appetizer. We've reimagined this signature Kentucky sandwich of bacon, turkey, and cheese sauce into beautiful bite-size cups. Guests will be able to enjoy every bite of this appetizer and will be able to admire the ingredients in this fresh, open-faced like sandwich. These cheesy bites are made from a crispy Parmesan crust and drizzled with a decadent cheese sauce with the turkey and the bacon to balance the creamy flavors from the cheese. Top with diced tomatoes and flat-leaf parsley for fresh flavors and watch them disappear. From prep to baked golden brown, the total time for this recipe is under an hour, making it an easy win for the host. Win over guests with this creamy shrimp dip, perfect for any party occasion. Don’t fret over overly complicated appetizer recipes – fill your guests up with an appetizer that won’t have you standing over the stove for hours. The best part about this recipe is its simplicity; all it takes is to stir all the ingredients and chill for a half hour or up to one day. Ingredient such as green onions, tarragon leaves, and fresh chives for garnish pack this appetizer with plenty of flavor. If you don't have time to make fried wontons, fancy potato chips or crispy tortilla chips are a great alternative. Pepper jelly lifts the flavor in this chicken liver mousse appetizer served with toasted baguettes. Onion, garlic, and heavy cream also bring out the delicious flavors in this appetizer staple. This recipe takes time, but will be well worth the wait once finished. Dinner guests will enjoy the mousse on a toasted baguette, which will also add plenty of texture to the appetizer. One online reviewer said they like the presentation of this recipe and found it easy to serve on a buffet table. However, for a different presentation, make this mousse in a 1 1/2-qt. ovenproof dish instead of small jars for everyone’s dipping pleasure. Mushroom Puffs are a quick and easy appetizer that your friends and family will love. One online reviewer says "very tasty and easy to make!!" while many other reviewers agree that this will definitely be a hit at your next party. Less than ten ingredients fill this appetizer with plenty of flavor that will have them flying off the table, including Parmesan cheese, cream cheese, green onion, and of course, mushroom slices. This recipe can also be prepared ahead of time by freezing the puffs once made and them placing them in a zip-top plastic freezer bag for up to one month. Give guests a fresh taste of summer with these beautifully barbecued flavors mixed with crunchy chopped veggies. Dress up barbecue pork in this small appetizer with just a hint of barbecue sauce, mayonnaise, and sliced green onion. Serve pork on a sweet potato biscuit with red cabbage, shredded carrots, red wine vinegar and chopped fresh chives for a stunning presentation. Guests will enjoy this nibbler in just a few bites of sweet potato, cabbage, carrot, and pork heaven. Also if looking to make this dish ahead of time, the sweet potato biscuits freeze beautifully--thaw, bake, and top them just before serving. Sparked by the leisurely pleasures of the cocktail-and-canapé Mad Men era, smørrebrød (Danish open-faced sandwiches) are the latest craze in stress-free entertaining. With a little clever prep, you can set out an impressive DIY spread in under an hour. New Egg Salad and Sour-cream Herb Sauce are just two possibilities when building this appetizer. Give guests the options to top with bacon, pickled shrimp, smoked trout, and tons of other condiments. Fresh herbs, julienned peppers, water crests and grape tomatoes also garnish the dish as wonderfully fresh toppings. Little prep time and the build-your-own-option in this appetizer is an ingenious way to entertain smarter. Now we'll toast to that. Skål, y'all! Set out a cheese ball at your next dinner party for your guests to enjoy. A mix of cream cheese, sharp Cheddar cheese, fresh lemon juice, Worcestershire sauce, a dash of hot sauce, and horseradish make the filling of this cheese ball coated in toasted walnuts. With a prep time of under an hour and no need to keep chilled or heated, this appetizer takes the stress out of entertaining and brings the flavor back into serving a great appetizer. Serve with water crackers or sliced cucumbers. Also, roll into a Yule log if making for the holidays for a festive feel. Keep this recipe in your back pocket to use as your go-to for last-minute company. You can also serve the grapes with chicken or pork in lieu of a sauce, or toss them in salads. Online reviewers describe this recipe as “elegant and tasty” and “cocktail party-worthy.” Prep time is under an hour, with the oven doing most of the work. The gooey syrup from the roasted grapes and the butter and cheese mixture will blend beautifully to give more texture to the appetizer. Serve on slices of French baguettes and broil in the oven until the slices are golden brown and cheese is bubbly. Add a sprinkle of toasted pecans for garnish and crunch. What’s better than nachos as an appetizer at the next game day party or a small casual gathering? Take all the manual labor out of preparing this dish and let the slow cooker cook do the work so you don’t have to. Receiving a five-star rating from online reviewers, this slow-cooked meat with banana peppers, beef broth, and garlic will produce juicy and flavorful meat. Top tortilla chips with beef, black beans, tomatoes, onion and cheese and bake for just ten minutes. Garish with your favorite nacho toppings and let guests enjoy! You can also serve the delicious Slow-Cooker Beef in slider buns with your favorite sandwich toppings for a heartier meal. Buttery toasted pecans can be served in different ways at a dinner party. They can be whipped up quickly and used as a garnish for a favorite appetizer or alone as a small snack before dinner begins if guests are saving their appetite. Butter makes everything better, and the same is true for these toasted pecans. Also sprinkle with salt and red pepper for added flavor when roasted. Patiently roasting pecans (the entire 25 minutes!) at 325° to coax out their flavor and essential oils takes them from good to great, not to mention the mesmerizing smell of deliciously roasted nuts. Online reviewers are raving about this appetizing soup filled with fall vegetables and big flavor. Butternut squash, pumpkin, ginger, sweet potato, and Granny Smith apples all say fall when serving this appetizer. Curry paste or powder and red bell pepper also give warm, inviting flavors that will leave guests happy. Online reviewers also suggest using canned pumpkin if fresh pumpkins aren’t available. Break up prep time by chopping vegetables the night before and cooking them up the day of the big event. This yields more than enough for appetizer-size servings. Divide up the leftovers, and freeze for a last-minute meal during busy weekends. These little gems will be one of the first appetizers to disappear. 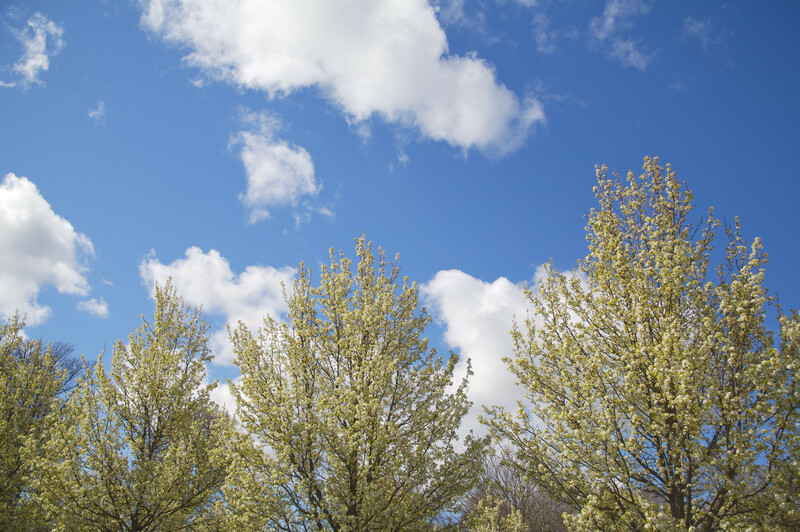 Online reviewers describe them as “simply amazing,” and we have a feeling that your guests will be saying the same. Sharp cheddar cheese is the star of this dish, but Worcestershire sauce, heavy cream, and dry mustard also make this dish a hit among guests. Also consider using other types of cheddar for the dish, such as aged white cheddar. Make them the day before and refrigerate, or freeze up to 3 weeks before serving. If frozen, pop in the oven straight from the freezer; increase the bake time by 10 minutes. Serve a decadent corn cake appetizer at your next gathering. Trick guests into thinking you worked harder than you did on this elegant appetizer, and watch as they disappear. This delicious appetizer includes canned cream-style corn, smoked salmon, fresh dill weed, and crème fraîche to create a well-diversified palate of flavors. Make these in the morning, and top with salmon and crème fraîche just before your guests arrive. Tight on time? Use store-bought blini instead. This recipe makes about four dozen, so consider doubling the recipe for a large crowd or halving for a small gathering depending on your expected guest list. Dress up asparagus with a spicy dip and serve as a delicious appetizer at your next dinner party. Give a classic side dish an extra kick with spices like curry powder, horseradish, and hot sauce on the side with steamed fresh asparagus. Other popping flavors in the dip include garlic, celery seeds, and Worcestershire sauce for a knockout appetizer. Keep the asparagus in its natural state by steaming just enough to cook, yet keeping the sweet crunch. All you need is ten minutes to stir all the ingredients together and steam the asparagus, so this dish can be whipped up when expecting last-minute company or right before the party begins. Just a few simple and easy ingredients grace this spin on the classic pigs in a blanket. The two main ingredients, crescent rolls and mini smoked chicken-and-apple sausages, are easy grocery store finds just in case there is little time before guests arrive. Top with sesame, poppy, and fennel seeds for more flavor and texture. While perfect for a dinner party or game-day get together, these dough-wrapped treats are best served fresh from the oven, so bake one batch at a time and serve warm. We recommend baking a ton because we know these will go fast once they hit the table! Gorgonzola, cream cheese, and half-and-half make the creamy cheese mixture that is spread on toast squares to make a delicious, bite-sized appetizer. Toss in finely chopped toasted walnuts to the cheese mixture for added crunch. Chopped fresh asparagus and lemon zest give guests that hint of freshness they’ll be looking for at your next dinner party. Sauté shallots and asparagus in butter for two minutes or until a crisp-tender texture. Not a blue cheese fan? Use any soft, crumbly cheese you like such as feta. The asparagus and cheese combo is perfect with the Canapé Toast Squares that are just as easy to make. Caramelized sweet shallots and silky mascarpone cheese add new-school touches to onion-soup dip. No need to waste time peeling all the shallots; after roasting, the papery skins easily slip away. Garnish with crumbled bacon, lemon zest, and chopped fresh chives for guests to dig into. This recipe will take some time to chill, but will be worth the wait once ready to serve. It can also be made up to two days in advance if chilled in airtight container, but will need to stand at room temperature for thirty minutes before serving. Serve with Rosemary Salt-and-Vinegar Chips for a perfect pairing. A homemade brine gives these chips a more delicate vinegar tang than mouth-puckering bagged varieties. Slice large russet potatoes as thin as possible to get a light, airy chip once fried. Allow an additional 24 hours for brining in addition to total prep and cooking time. Chips can be fried up to one day in advance and re-crisped in the over at 300 degrees for 20-25 minutes. They also need to be served warm and cooled completely. Serve with Roasted Shallot Dip as an alternative to store-bought traditional chips and dip and make your house the new go-to for the big game-day parties. Serve up a taste of autumn with a creamy soup shooter perfect for the season. Pumpkin and carrot make the orange broth, while fresh ginger, shallots, and red bell pepper account of the other notes of flavor. The small serving and light flavor will hold guests over while the big flavors will win them over on the same note. Served this in a glass votive or demitasse cup. To make ahead, let soup cool completely and chill for up to three day. Pureed to perfection, the soup should be dolloped with a sweet Coconut Cream and toasted flaked coconut for a delicious finish. A touch of salty country ham and shiitake mushrooms adds deep flavor to this earthy, creamy spread. A traditional Southern delicacy is transformed with parsley, thyme, jalapeño peppers, and toasted walnuts to be served as an upscale appetizer. White wine and garlic also elevate the flavors in the dish. Serve to guests with crostini during the holidays, at a luncheon, or just if having few close friends over. For a classier presentation, serve in small jars. You can make and chill the recipe up to 2 days ahead before serving. For a finishing touch, top with Pickled Red Onions and Cukes. Stamp a Southern accent on this classic French hors d'oeuvre with diced pimientos. This cheesy pastry will scream Southern all over once guests smell the pimientos and sharp cheddar cheese fresh from the oven. Make them ahead of the party by freezing gougères once cooled in a zip top freezer bag for up to one month and reheating at 350 degrees for ten minutes. You can use a piping bag with a 1/2-inch round tip or a zip-top plastic freezer bag with a corner snipped off to pipe the dough onto the baking sheets instead of dropping them by the tablespoon. Party-staples pepper jelly and puff pastry go uptown in this flaky, sweet-and-savory pastry that blends the two in the most perfect way. Tucked inside these flaky pastry shells are chives and fresh Parmesan cheese for a savory flavor. These pastries need to be prepped and frozen for up to 24 hours before baking, so be sure to start this one ahead of time. To achieve the perfect flaky pastry, bake in batches to avoid over-crowding and uneven cooking. The original recipe makes plenty, so be sure to double the recipe for a large crowd of half it for a smaller guest list. Wow guests with this one-bite French hors d’oeuvre filled with flavor. One reviewer raved that this recipe is not only pretty, but also tasty. Ready to serve in under an hour, this recipe makes home entertaining easy for a small or large crowd. The cranberry mixture consists of bursts of cilantro, ginger, and jalapeño pepper, arousing the palate of dinner guests. Garnish this dish with roasted pumpkin seeds for a true fall accent. Make Ahead Tip: Stir together the cranberry mixture up to 3 days ahead of time. Spread the cheese and cranberry mixture on the Canapé Toast Squares the day of your party. A spin on the classic New Orleans sandwich, online reviewers call this recipe their new go-to for deviled eggs. This easy appetizer melds the flavors of olive salad and salty salami that would go on a traditional mufletta sandwich, but blend with a creamy mayonnaise for a deviled egg spin. Ensure a perfectly cooked deviled egg by placing eggs in a single layer in a stainless steel pan and bringing it to a rolling boil, then let them stand for 15 minutes. Tap eggs on the counter until they crack and peel over cold running water. Salami should be lightly browned before garnishing the deviled eggs. Guests will truly appreciate this fresh, homemade bread as a hearty appetizer to hold them over until dinner. Pay extra special attention to this recipe as it will be worth all the time and effort, filling the kitchen with notes of fresh rosemary and bread hot from the oven. While preparing the dough, be sure to knead until smooth and elastic. Cover the dough and place in a warm room free of drafts for one hour. Sprinkle with kosher salt and cook this bread until the top is light brown. Pair this flavorful herb bread with Turnip Green Pesto for a mouth-watering appetizer. "My younger cousins enjoy this recipe as much as the adults," says recipe developer Whitney Miller. "I'm not sure they know they're eating their greens!" A bright blend of turnip greens, grated Parmesan cheese, and honey turn this essential leafy green into a delicious appetizer even the kiddos will enjoy. The smooth blend of the greens, olive oil, and garlic make this creamy pesto spread a delight at the appetizer table. Pair with flavorful Rosemary Focaccia Bread and springy Mrs. Monty's Rolls for a mouth-watering appetizer. This recipe can be kept for up to one week by placing plastic wrap directly over the pesto and keeping in the refrigerator. 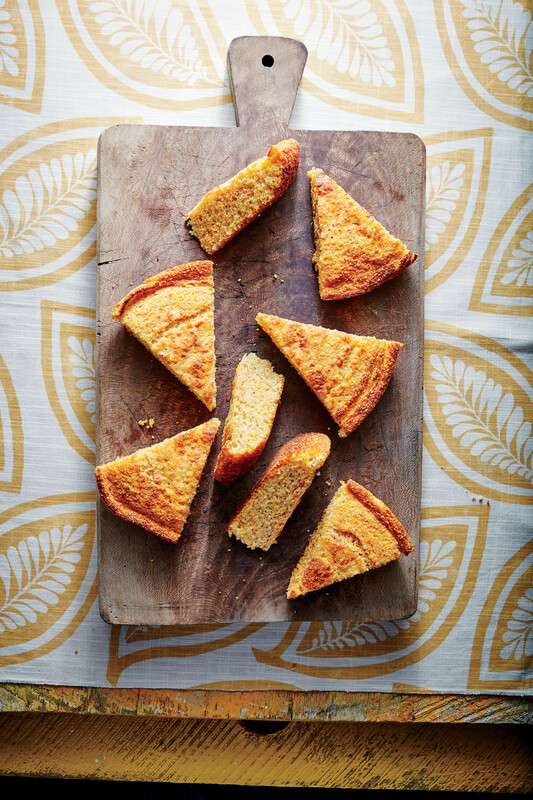 Cornmeal is transformed into an appetizer that guests will surely appreciate. Two Southern staples – cornmeal and Pimiento cheese – make this an incredible appetizer filled with a multitude of flavors. Just six ingredients make these delicate muffins light and airy and the perfect pairing for a hearty cheese spread. Ricotta is added in addition to pepper jack and sharp cheddar cheese to create a spin on the classic staple. Together, the combination marries Southern flavors in an authentic way that will appease a variety of taste buds. Feel free to make and freeze the muffins ahead. Then thaw, fill with Ricotta Pimiento Cheese, and bake before serving. Grits are treasured like gold in the South. Add bacon and cheese and you have an irresistible appetizer. Like a fried piece of heaven, these bite-sized appetizers are the perfect little party snack. This recipe makes up the perfect amount for a small house gathering, or multiple batches can be made for a large crowd or big party. Be sure to fry fritters until they are golden brown on the outside to add the perfect texture and crunch to the bites. These Bacon-Grits Fritters are the perfect Southern delicacy to introduce to your family and friends. Watch them quickly disappear! Like a burst of autumn wind, the flavors of autumn come through in a big way in this cranberry-pecan chutney. Cloves, cinnamon, apple cider, cranberries, ginger, and apricots deliver notes on autumn in a sweet and spice-filled chutney that will be a crowd pleaser. Perfect for a Thanksgiving gathering or just a fall potluck, the recipe makes enough to satisfy a small crowd. It can also be chilled for up to two days if making ahead, and be sure to only stir in the pecans just before serving. Serve this versatile, zingy condiment with Chicken Liver Pâté as a toast topper and with turkey as a relish. This chicken liver pâté will please even the most refined of palates at a dinner party. Flavors from fresh herbs including fresh thyme and rosemary garnish this dish for a fresh bite. Bourbon and bacon also add kick to the dish, however the bacon can be omitted from the pâté and used as a garnish instead. This dish takes time, so be sure to pay extra careful attention and give it plenty of care when preparing. Serve this earthy, rustic spread with grilled bread and Cranberry-Pecan Chutney. Parsley, dill, and tarragon pack this creamy sauce with herb-fresh flavor. Online reviewers rave that this dip is to die for and will leave guests impressed. There's no need for chopping; the sauce is super easy to prepare in the food processor, leaving very little prep time before the party begins. Prepare one hour before guests arrive and place in the refrigerator to serve as a cool, refreshing dip. The dip can also be refrigerated for up to one week if making ahead or for leftovers. Serve with boiled shrimp or veggies and a garnish of fresh dill and a lemon slice. Onion and apple make the perfect pairing in this sweet-and-savory nibbler. Cream cheese, shredded Asiago cheese, bacon, and a touch of balsamic vinegar add savory flavor while light brown sugar balance it out with notes of sweetness. Granny Smith apples are the perfect neutralizers for this dish, adding a refreshing touch to an appetizer with so much flavor. Be sure to press the cream cheese pastry dough all the way up the sides of the mini muffin cups so the tart shells will be deep enough to hold a generous amount of filling. Garnish with fresh thyme leaves after baking. French Fries are an easy dish to serve to even the pickiest guests. Serve for adult friends or at a kid’s party to please small taste buds. Take this simple appetizer idea to the next level in many different versions. Fries can also be made in a variation of Italian, barbecued, jerk, or Southwest. The original recipe makes 8 to 10 servings, so doubling is suggested if you are expecting a larger crowd. Serve Salt-and-Pepper Oven Fries in votive holders for a fun look. To add more flavoe to the dish you can serve Lemon-Garlic Mayo as a dipping sauce. Upgrade your pecans with apples and spice. Apple juice and apple pie spice give this dish its sweet notes of apple while optional ground red pepper add a bit of heat if desired. Sugar also adds a bit of a sweet, crunchy coating on the outside of the pecan halves. Cooked up in under an hour, they're great in salads, desserts, or on their own as snacks. Prep and pop these in the oven just before guests arrive and fill the entire house with warm fall scents. They also make the perfect holiday gift. Try these over our Waldorf Cobb Salad for even more flavor variety. Spin the old-school salad into a dip, and pair with everything from crudités to pretzel rods. Online reviewers suggest making this dip for a tailgate or game day parties, and even for the holidays. Bacon slices, chopped cashews, apple cider vinegar, and red onion all give a bite to this dish. Creamy ingredients such as cream cheese and sharp cheddar cheese make the dip savory and delicious. Prep time is only twenty minutes, so prep this easy dip in just a short time and set it aside until ready to serve. This dip can also be chilled for up to three days if it needs to be made a little further in advance. Serve up a familiar party appetizer with a twist with savory buffalo chicken pot stickers. The light and crunchy textured of a fried wonton paired with a classic party favorite make for an amazing appetizer that will keep this on the party menu for celebrations to come. Reviewers also suggest serving with a side of blue cheese. The recipe makes four dozen, but this delicious appetizer could be gone in seconds so we suggest making plenty more deepening on the size of your party. "These pot stickers are hearty while still being the perfect size for snacking." Savory, sweet, and tangy, this bright dip is great for dunking anything from breadsticks to crudités. The refreshing flavor from the Greek yogurt mixed with orange zest and basil with a little touch of garlic make this dip absolutely irresistible. Prepped and ready to serve in twenty minutes, will not be on the appetizer table long. The recipe makes up to six servings, so plan accordingly depending on the size of the party. We especially love it with an assortment of grilled peppers and zucchini. This dip can also be kept for up to three days for more dunking pleasure. Online reviewers are raving about how easy this appetizer is to prepare and how breath taking the presentation is. Sweet-'n'-Salty Honey Cheese Spread is ready in only 10 minutes, perfect for last-minute company. The goat cheese log just needs to be rolled in sunflower seeds, and drizzled with honey. A generous drizzle of the sticky sweetener is the finishing touch. Serve with assorted crackers or fresh berries for a beautiful presentation and a bit of a healthy appetizer. Also garnish with fresh mint leaves for a refreshing garnish and more color. The recipe makes 10 appetizer servings, perfect for a small dinner party. Use a mixture of baby tomatoes such as 'Sweet 100,' 'Yellow Pear,' or 'Sun Gold'—all are available at farmers' markets in summer months. Paired with rice vinegar, garlic cloves, and pickling spice, these tangy tomatoes can be enjoyed between just a few people or a large crowd. Ginger is optional in this recipe, but we suggest adding it for added flavor. This dish uses 3 pints of tomatoes, but feel free to halve the recipe. The recipe needs to be cooled for one hour after cooking and chilled for 24 hours before serving, but can be kept in an airtight container for up to two weeks after. Ready in just 15 minutes, this quick appetizer is perfect for last-minute company. A mix of butter, white wine, parsley, and garlic make this savory shrimp appetizer simple with a beautiful balance of flavors. When making the sauce in Step 2, whisk in the butter 1 Tbsp. at a time--the key technique in making the sauce velvety. Preventing overcooked shrimp is probably most important in this recipe, so remove shrimp from the skillet after three minutes or just after they turn pink. Serve with French bread baguette slices to balance out textures. Also be sure to serve warm so partygoers enjoy the warm buttery coating while it is melted and warm. Guests will be amazed at the better-than-restaurant taste of these garlicky stuffed mushroom caps. Topped with golden Parmesan cheese, these little nibblers also make a beautiful presentation, adding to the beauty of the appetizer table. Chopped pecans and fine breadcrumbs give this dish its crunchy coating, while leeks, shallots, and garlic cloves add plenty of flavors along with the mushroom caps. Garnish with fresh basil for a spring like presentation. Use mushrooms of equal size and spoon an even amount of the leek mixture into the caps for even cooking. Also, be sure to rinse the leeks thoroughly to get rid of any grit or sand. Here's a cute idea: Hollow out baby pattypan squash and fill with goat pimiento cheese. Guests will be tempted to try to this bright summer squash recipe. Beaming with bright ingredients, guests will enjoy the familiar Southern flavors of pimiento cheese and squash along with fresh basil and bacon. Goat cheese is what makes the creamy, pimiento filling, and don’t be afraid to add 1 to 2 teaspoons of water to get pimiento filling to desired consistency. This recipe is great for an outdoor summer party or a daytime get together. Can't find pattypans? Pipe the filling on thinly sliced squash rounds, or stuff it into squash blossoms. Guacamole and goat cheese pair to elevate a traditional appetizer into something elegant (and much less messy). Avocado, red onion, lime juice and jalapeno pepper are blended together for a traditional guacamole flavor, along with goat cheese and tomatillo for a new flavor variety. Mini pita rounds create a sturdy base for the Guacamole-Goat Cheese Toasts, but feel free to use French baguette slices instead. No matter which is used, be sure to bake until they are lightly browned for a little crunch. Top with chopped tomatillo and tomato for a touch of crisp acidity. This appetizer pairs wonderfully with a dry white wine.